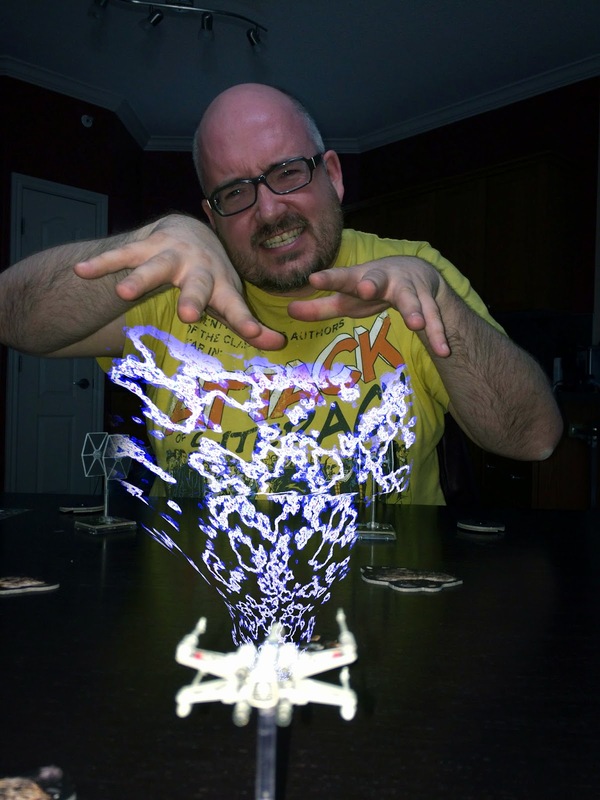 Here's an attempt to create the illusion of Sean projecting force lightning from his hands. It's not great. Perspective is hard. Perspective, just like The Force, is all in the midichlorian count. It's hard for those with weak instruction. Most up-to-date art applications now come with some powerful perspective tools, but without proper insight, they are difficult to wield. However, there is a top-notch primer you can refer to, and I'm willing to wager it's already in your library: the incomparable Stan Lee's How To Draw Comics The Marvel Way. Master that and you master perspective not just in comics but in all visual art! Excelsior!